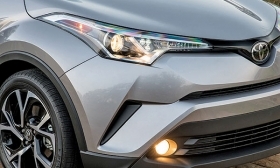 The Toyota C-HR crossover features alloy wheels, LED running lights and a rear spoiler. AUSTIN, Texas -- Toyota's youth-oriented Scion brand may have driven off into the sunset, but its spirit lives on in the head-turning C-HR crossover hitting dealerships May 1. The "Coupe-High Rider" was shown as a Scion concept car at the 2015 Los Angeles Auto Show and was supposed to be the youth brand's first crossover, starting in the 2018 model year. But Scion was unwound last year after Toyota declared that it had learned important lessons from the experiment, but no longer needed the sub-brand to draw younger drivers to Toyotas. 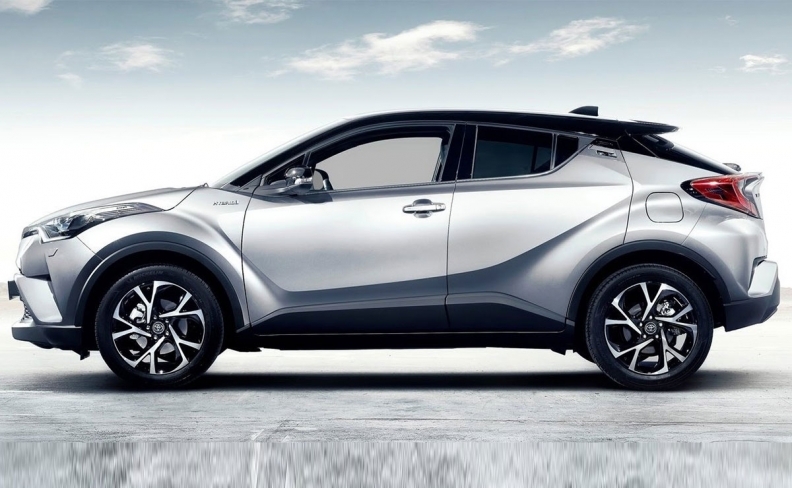 Toyota stayed true to the C-HR's original mission of providing stylish and affordable transportation. The rebadged crossover didn't get pushed too far upmarket with trim levels and options; neither is there a stripped-down model unworthy of its unique styling. At a national press preview here this month, Toyota executives rolled out a vehicle that feels upscale and special, but fully at home in the Scion universe of simple but not austere. Wheelbase 103.9 in. 99.6 in. Length 171.2 in. 162.4 in. Width 70.7 in. 69.5 in. Height 61.6 in. 61.8 in. Curb weight 3,300 lbs. 2,977 lbs. EPA mpg* 27 city/31 hwy. 28 city/32 hwy. Fay: Buyers will be millennials. 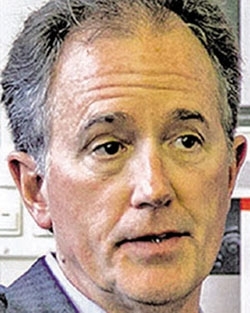 Bill Fay, general manager of the Toyota brand, said Toyota expects to sell 30,000 of the crossovers [in the United States] this year and 60,000 next year, mostly to "millennials, or millennials-at-heart." Toyota didn't provide Canadian targets. The C-HR doesn't come in a strict "mono-spec" package like the Scions of yore, where the choices were limited to transmission and color. But it's close. The base C-HR comes in an XLE trim, which in Toyota nomenclature is pretty far up the food chain. The XLE starts at CDN $26,475, including shipping and a long list of standard equipment. Highlights include a safety package with automatic emergency braking; lane-departure alert with steering assist; and radar cruise control. On the inside, there's dual-zone climate control, a leather-wrapped steering wheel and highly adjustable seats. On the outside: alloy wheels, LED running lights and a rear spoiler. The only other trim is XLE Premium, which comes in at CDN $28,075, delivery included. It adds extras such as fog lights, auto-folding mirrors, power lumbar supports and blind-spot monitoring. Either trim can be had in two-tone paint with a white roof and mirrors for $500, Toyota said. There is no leather-seating option, no sunroof, no four-wheel drive and no wheel, engine or tire upgrades available. The seven-inch touch screen has no navigation function, making the C-HR a certified bring-your-own-smartphone vehicle. One area where the best of Scion shines through is the driving experience. The brand's final years saw the Canadian arrival of the driver-focused FR-S built with Subaru and the iM from Europe. Both are now Toyotas. None of the former Scions is particularly fast. And the C-HR's 144-hp engine connected to a continuously variable transmission is just adequate. But the C-HR is built on the Toyota New Global Architecture with double-wishbone rear suspension, a lower center of gravity and tuning that goes with the brand's move to greater sportiness. Toyota was unafraid to unleash auto journalists on twisty Austin back roads to test the crossover's bite in corners. Hiroyuki Koba, Toyota's deputy chief engineer in Japan, said the C-HR's mission never changed even as its badges did: It had to look good, handle well and be focused on the driver. Because it's built on a C-segment platform rather than the smaller B segment, Koba and his team had enough space for the exterior flourishes, good room up front and decent rear-seat and cargo space. Eventually, Toyota may develop trim levels for the C-HR, add navigation to the infotainment system, and offer the all-wheel-drive package or hybrid motor available in other markets.